San Francisco (Obama.net)- For decades, companies have been dumping their products on poorer states such as third world countries. Dumping is the process that occurs when one state has an oversupply of products and in order to get rid of the goods, but still make money off of them, the state or corporation will take the goods to a poor state and sell the goods for pennies on the dollar. While that may seem as a steal for the people in the poor state, this means that producers of similar goods within the state all of the sudden have no market because there’s a cheaper, better product from a powerful state and/or corporation. Thursday, the United States of America and President Barack Obama took action against this process in order to take a stand against the unfavorable procedures that cost the United States financially. In addition, the new policies will also help benefit American companies and American workers. The new trade laws are expected to significantly boost the economic growth of the United States. The new policies will limit the amount of cheap products coming into the United States from China, which is sure to not exactly please the Asian state. This is all part of President Obama’s mission to limit American dependence on foreign goods. In addition, with the decreased need for imports, an increase in homemade products becomes highly more necessary. Thus, job growth and creation is increased in the United States, boosting the economy. The new laws against dumping will also help President Obama reach his goal of doubling the amount of exports in the United States within five years of his election nearly two years ago. In 2009, China provided the United States with nearly twenty percent of its imports totaling at just under $300 billion. With the United States economy becoming more self-sufficient as time goes by and as a result numbers as high as in 2009 should no longer be the norm. 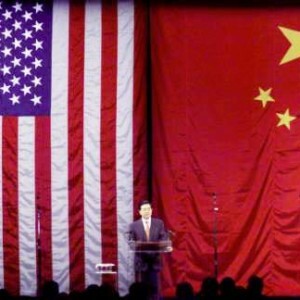 As the United States government continues to investigate the policies and how China conducts business, there may be new features to the plan in order to further boost the United States end when it comes to the benefits from trade.